Millennials hold the key to the future of banking. By 2018, they will have the highest spending power of any generation, and by 2025 three quarters of workers globally will be a millennial. Challenging the status quo, a third of millennials don’t believe they’ll need a bank in the next five years. Apathy towards traditional banks is born of frustration. For a generation who have embraced the likes of Google, Amazon and Uber, feeling the need to use a physical branch to make financial decisions is unappealing. In order to remain relevant in the eyes of millennial consumers, banks must radically rethink their business model. 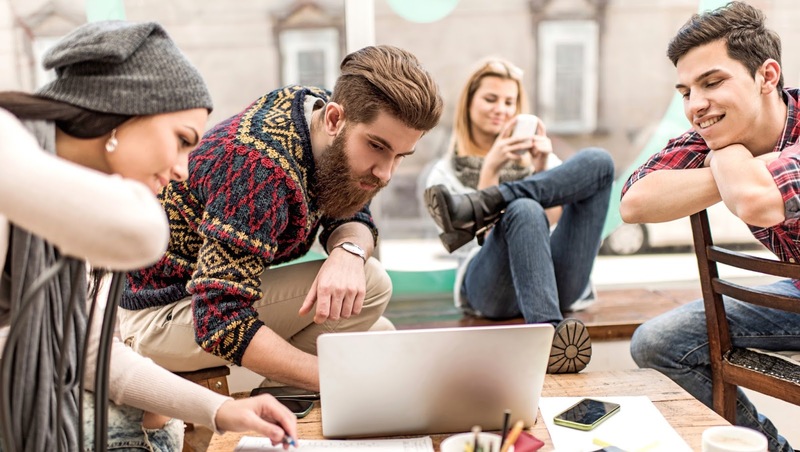 A new report from Misys, in partnership with Efma, highlights that far from being oblivious of millennials’ needs, banking professionals themselves are exasperated with progress. The greatest levels of frustration within the industry appear to come from technology’s impact on increasing the time to market of new products and services, while also restricting the potential for the personalisation of products for the individual customer. Over a quarter of banks cite technology as the biggest obstacle to customer-driven sales. It is the customer-driven element of this statement that is crucial. Customer-driven sales means tailoring the sales proposition to the individual customer, moving from simple transactions to meaningful interactions. While banks consistently profess to put the customer at the heart of what they do, inefficient, legacy infrastructure is impeding customer-centricity. Millennials demand an integrated digital offering that is far more advanced than the current ‘bolt on’ approach taken by traditional banks. This basic, ‘first generation’ digital banking means that currently one in five banks perform less than one per cent of sales via digital channels. While the majority of banks now offer an online or mobile banking service, these are almost exclusively used for transactional purposes. There is still an expectation that customers will visit a branch to make any meaningful financial decisions. It is this assumption that will cost banks dearly, if they fail to take action now. Investing in digital allows banks to sell smarter and more efficiently, by becoming more integrated into customers’ lives and better understanding their needs. Wearable technology, for example, is one way banks can remain relevant in the eyes of millennials. Traditional institutions realise that millennials’ insatiable desire for convenience means that the branches of the future will be on wrists and in pockets, not on high streets. And while 96 per cent of banking professionals believe wearables will have an impact on their industry, aspiration is not enough. Action must be taken to enable the integration of future technologies such as wearables. This new Misys research shows that 75 per cent per cent of banks believe that they have not concentrated efforts on improving the customer experience. If this trend continues, and banks insist on dragging their heels with digital integration, they are guaranteed to become irrelevant in the eyes of millennials. Banks must avoid becoming corner shops in an Amazon age.